The first of six “Birds on Tap – Roadtrips!” with our partners at the Maine Brew Bus took place last Sunday. Our “Surf and Suds!” tour headed south, visiting two hotspots along the York County Coast, looking for waterfowl (especially Harlequin Ducks), Purple Sandpipers, and Great Cormorants and other winter denizens of the rocky shore. We began at Marginal Way in Ogunquit, enjoying perfect conditions. With temperatures rapidly rising into the low 40’s on a very light, southwesterly breeze, it was more than comfortable. And with a high deck of clouds and calm waters, viewing conditions were perfect. 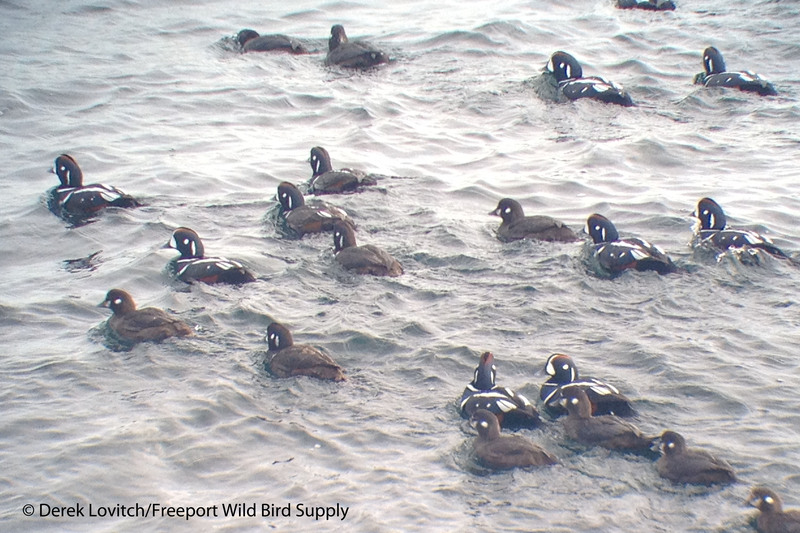 Harlequin Ducks are one of the premier “targets” of this tour, and they could not have been more obliging. At least 35 were along the pathway, with most very close to shore and several small groups hauled out on the rocks. While we only encountered 15 Purple Sandpipers, we saw them exceptionally well. I just with the little raft of 8 Razorbills were a little closer! A Carolina Wren singing from the neighborhood and 250+ Black Scoters were among the other highlights, while we also took ample time to enjoy views of Common Eiders, Red-breasted Mergansers, and all three scoters. Next up was The Nubble, where one Great Cormorant coming into high breeding posed nicely, and a goodly total of 38 Harlequin Ducks were present. It was a MUCH better look at the single Razorbill that was feeding just off the Nubble, and it would be impossible to obtain better views of a Red-tailed Hawk that was making rounds of the parking lot, the Nubble, and nearby rooftops. Before we knew it, it was “beer o’clock” and Don took over for the beer-ing portion of this unique tour. York’s SoMe Brewing was our first destination, and after a tour of their rapidly-growing operation as we discussed the ins and outs of brewing beer, we settled in for a flight of samples. Perhaps best known for their Whoopie Pie Stout and their go-to Apostrophe IPA, for me at least (and several others) “Sugar What?” stole the show. This Bourbon Barrel Aged Imperial Maple Amber hit all the right notes for me. Back on the Brew Bus, we began our trek northward, continuing our discussions about birds, beer, and everything from “status and distribution” to bird-friendly coffee. We pulled into the unassuming South Portland neighborhood’s Fore River Brewing Company – a first visit for me, and all of the participants on the tour. Lygonia IPA was my favorite of our samples, although the crowd was appreciating their John Henry Milk Stout quite a bit. We also learned how their brewing system, philosophy, and background differed from our first brewery; it always fascinates me on these tours to learn about the brewers and their approach to beer. With the bus unloaded in Freeport, conversation continued at the store, and plans were made for the next Birds on Tap – Roadtrip! 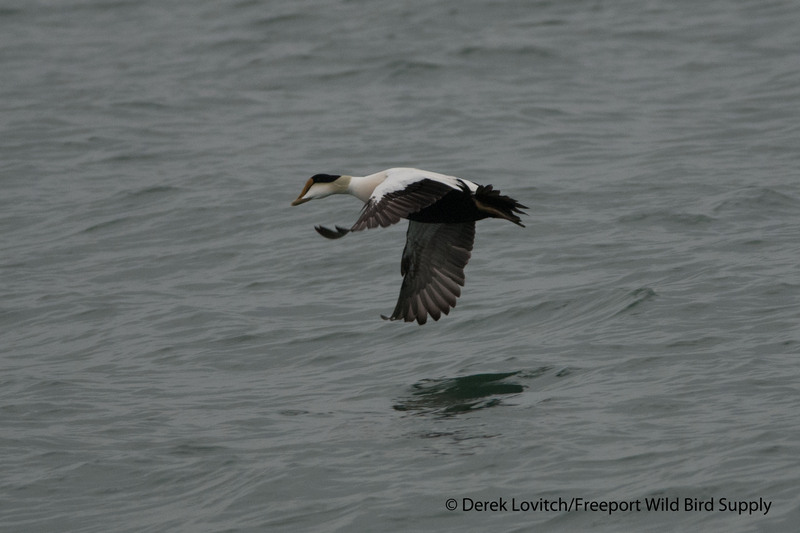 On April 10th, “Spring Ducks and Draughts” will visit Merrymeeting Bay for waterfowl migration and Bald Eagles, followed by visits to Oxbow Brewing Company in Newcastle (I love their woodland tasting room!) and Lively Brewing in Brunswick. These trips are truly unique and we hope you will join us for the next fun-filled tour of birds and beer! This entry was posted in Birding in Maine, Events, Private Guiding and Tours and tagged "Birds, Birding, Birds on Tap - Roadtrip!, Fore River Brewing Company, Great Cormorant, Harlequin Duck, Maine Brew Bus, Marginal Way, Ogunquit, Purple Sandpiper, Razorbill, SoMe Brewing Company, The Nubble, York on March 5, 2016 by Derek. 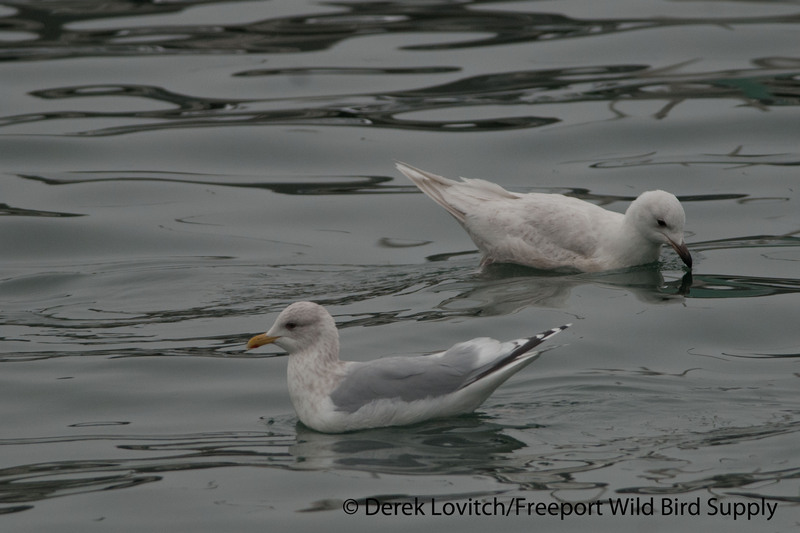 On Sunday, Kristen Lindquist and I worked Portland Harbor for gulls. In my usual routine, I started at the Maine State Pier and worked my way west, checking all of the piers and roosting locations in Old Port. 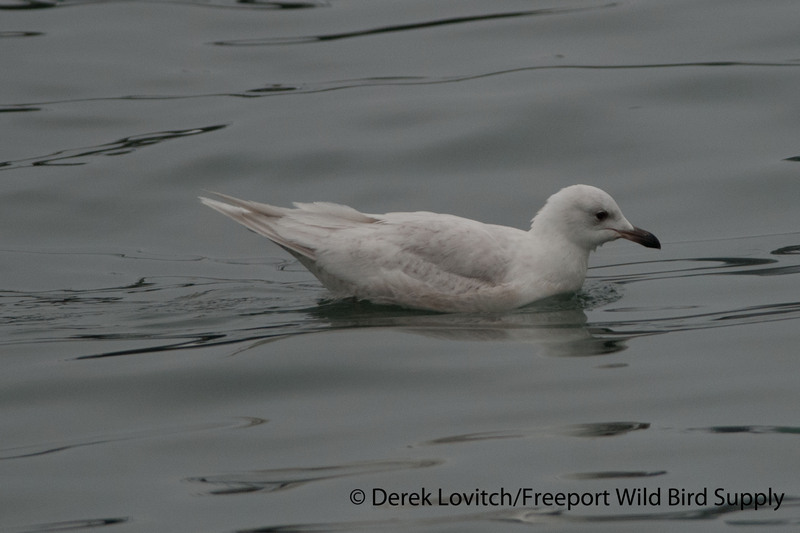 I was pretty happy with the 4 first-winter Glaucous Gulls and a healthy handful of Iceland Gulls from the state pier, and we continued to see Iceland Gulls here and there as we continued along. 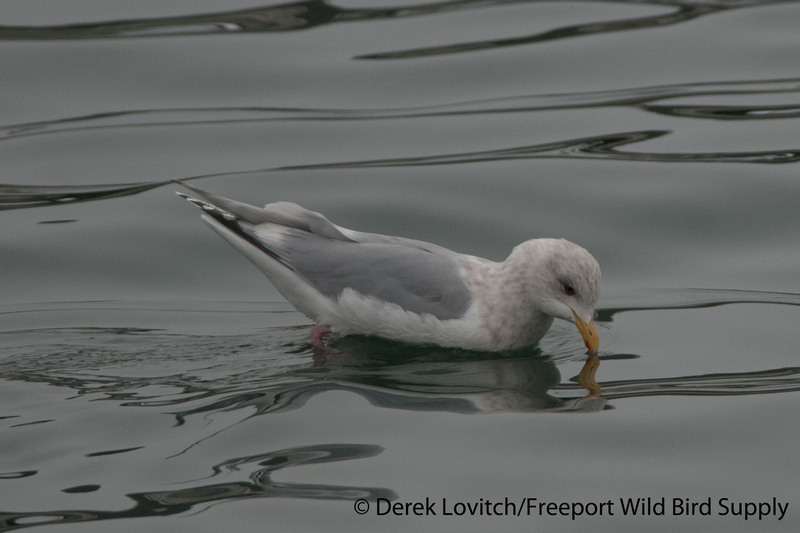 It was a good day for gulls in the harbor, but we didn’t realize just how good it was until we got to the end of the “Fish Pier.” There, everywhere we looked we saw white-winged gulls! Out by the dredging barges there were white-winged gulls. Feeding at the rips around the channel markers there were white-winged gulls. And all around the fish pier there were white-winged gulls! I was very conservative in my counts, and yet tallied an exceptional 12 first-winter Glaucous Gulls – an all-time state high count for me. But it was the abundance of Iceland Gulls that stole the show; 4 adults (all with completely different wing-tip patterns of course), at least three 2nd-winter, and an astounding (for southern Maine, anyway) THIRTY-TWO 1st-winter birds. With that many, it was not surprising that the whole range of variation of “Kumlien’s” Iceland Gulls was to be seen, but try as I might, I couldn’t find a single bird that even allowed for an attempted stringing of a Thayer’s. Despite starting the day by saying, “I am not taking any more first cycle Iceland Gull photos this winter,” with this many birds around, I couldn’t help myself. Here’s a selection of photos, starting with two phone-scoping using an iPhone 4S, Phone Skope adapter, and a Zeiss Diascope FL, followed by “better” photos using my Nikon D80 with a 300mm lens. At the aforementioned outflow pipe. 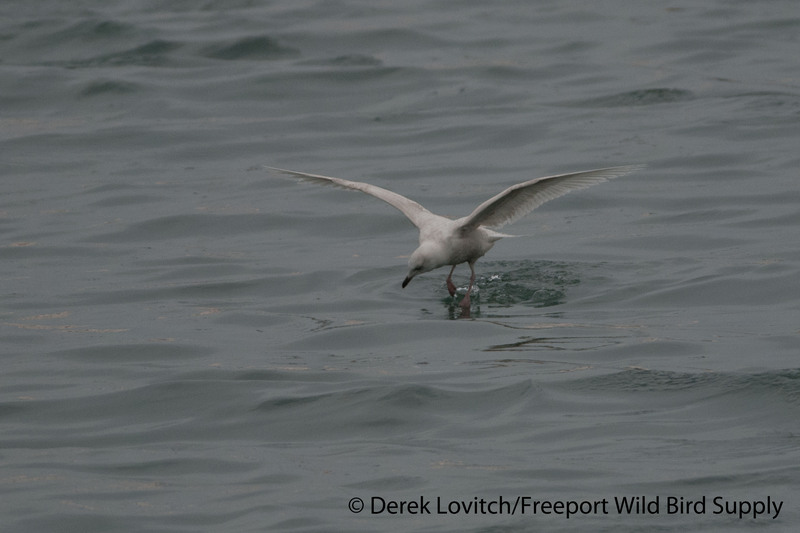 1st cycle Iceland Gull feeding storm-petrel style. 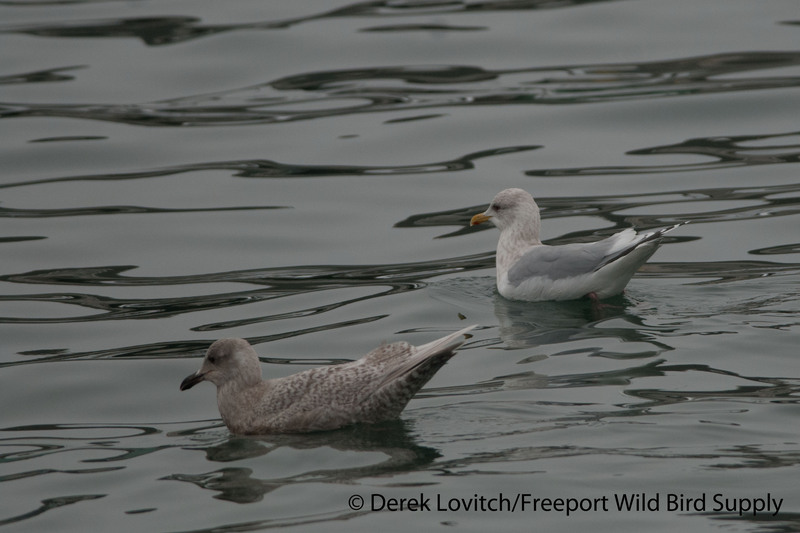 1st/2nd cycle (L) and 2 1st-cycle “Kumlien’s” Iceland Gulls (R), with a dark 1st winter Herring Gull for contrast. Light and darker 1st-cycle “Kumlien’s” Iceland Gulls. 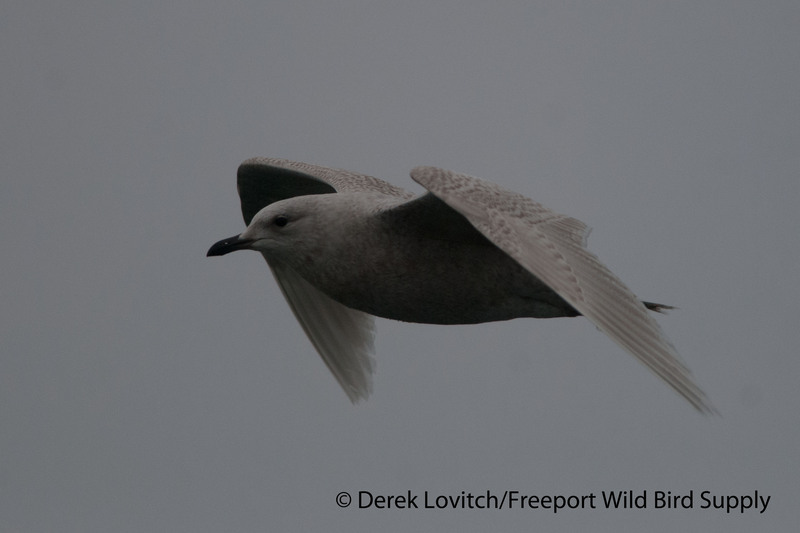 Worn, late 1st Cycle or early 2nd Cycle “Kumlien’s” Iceland Gull. Adult and 1st/2nd Cycle “Kumlien’s” Iceland Gulls. 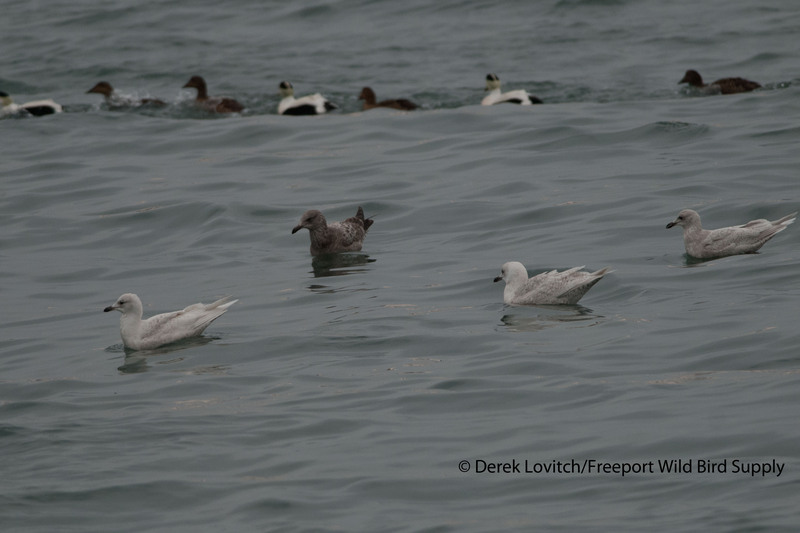 1st cycle and adult “Kumlien’s” Iceland Gulls. After second breakfast, we checked in at Mill Creek Cove, where the outgoing tide was attracting gulls to the mouth of the creek as usual. 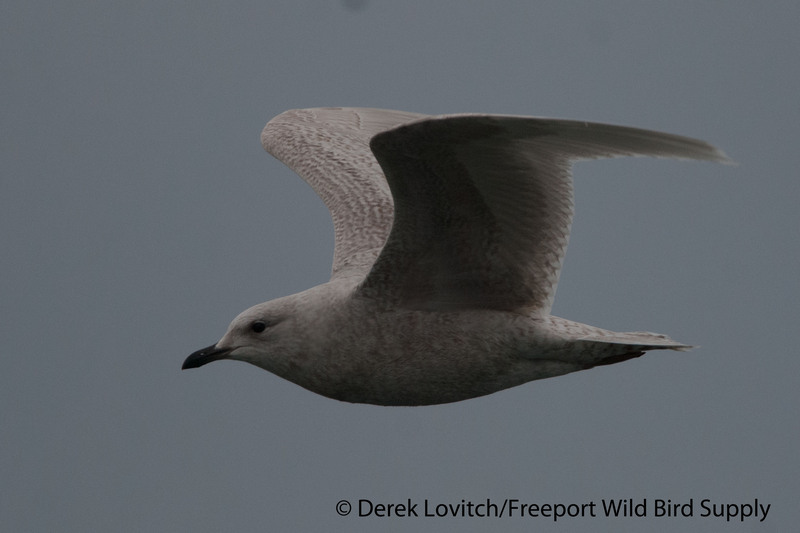 With birds heading to and from the Old Port, we didn’t add to our earlier counts, but there were at least 4 1st-winter Iceland and 2 1st-winter Glaucous Gulls present. 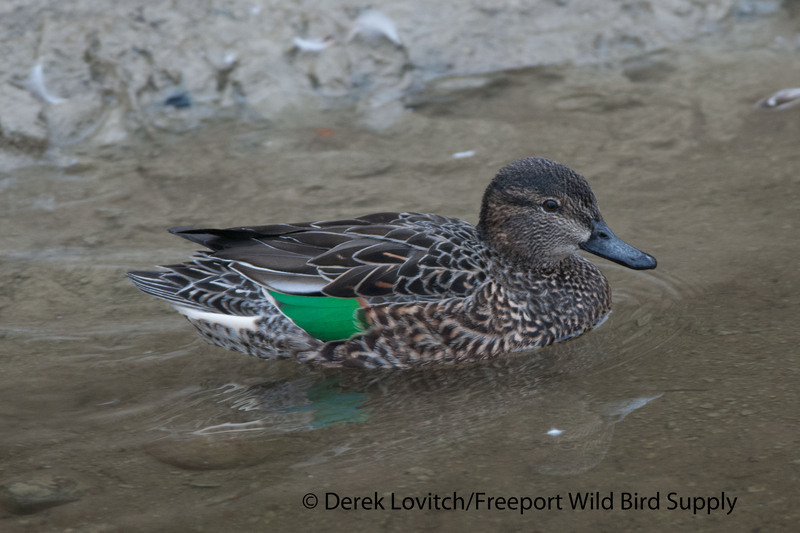 Oh, and this rather confiding female Green-winged Teal was dabbling with the Mallards. showing a little more green speculum than usual on one side. Then we worked the Cape Elizabeth shoreline, highlighted by 3 Greater Scaup at Kettle Cove, 11 Brant at Dyer Point, and these 28 balls of awesomeness (aka Harlequin Ducks; phone-scoped photos). But back to those gulls…why so many? While the number of Herring and Great Black-backed gulls (and the expected relatively small number of Ring-bills) were average (at least by recent winters’ standards), this is by far the most total white-winged gulls that I have seen in PortlandHarbor in the 13 years I’ve lived here. Some of these gulls are probably northbound migrants, but clearly there was something more at play here. For one, there’s a dredging operation ongoing in the main channel of Portland Harbor. While we didn’t see any gulls obviously foraging on the dredge spoils being pumped into the barge, or immediately around the buckets scooping up the muck, there were birds standing around on the new moving “islands.” I wondered if a lot of these gulls were following/riding the barges in from where they are dumping the dredge spoils seven miles offshore. But in today’s Portland Press Herald, I read that the occasional dynamiting of underwater bedrock would kill some fish, and then the “seagulls’ (sic… ahem!) were feeding on the dead fish. That would certainly augment the already-occurring food sources in the harbor. But most of the Iceland Gulls today were centered around the outflow pipes of various lobster-related facilities, as usual. 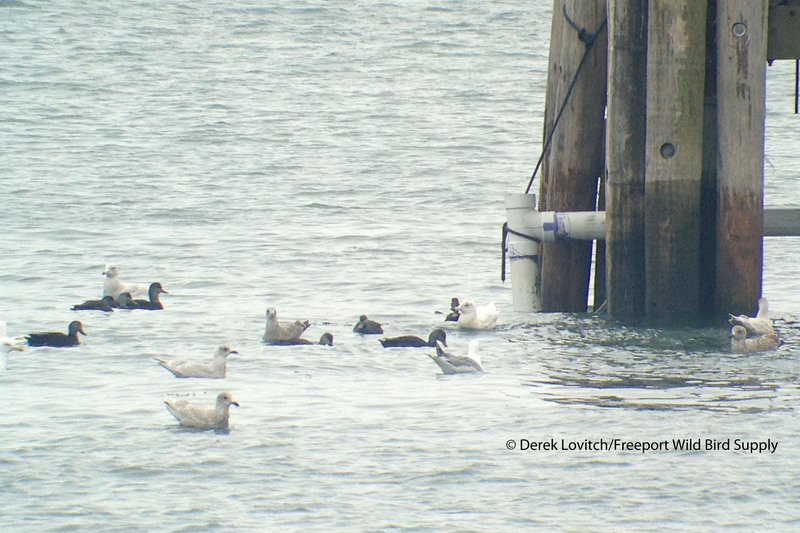 Meanwhile, the high tide limited roosting and foraging opportunities along the coast, and here in the harbor. So my guess is that the time of year (migrants), the dredging operation, and the tides all helped to greatly increase the volume of white-winged gulls present today to numbers not seen in recent years – at least not since Portland had a thriving year-round fishing industry. Obviously, this is just conjecture, but whatever made it happen, I was happy to be there to enjoy it! 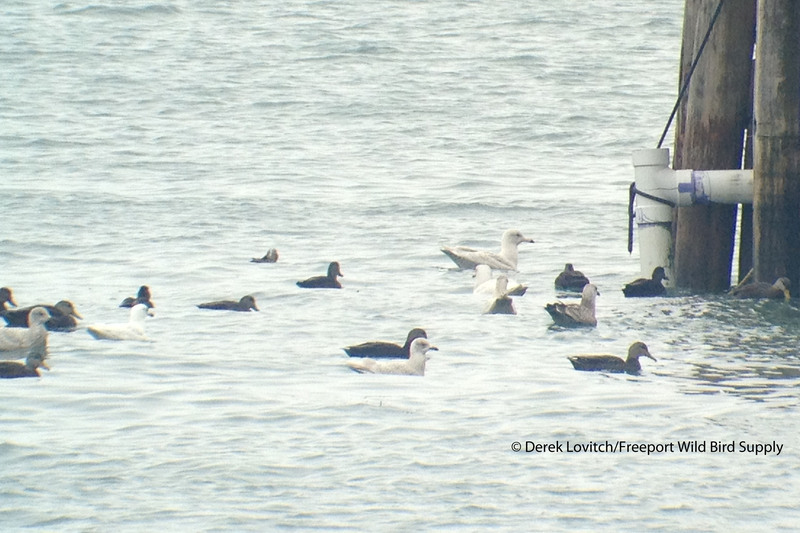 This entry was posted in Birding in Maine and tagged Birding, Cape Elizabeth, Common Eider, Glaucous Gull, Green-winged Teal, gulls, Harlequin Duck, Iceland Gull, Mill Creek, Old Port, Portland, South Portland, Two Lights State Park on March 3, 2014 by Derek. Scarborough through South Portland: Signs of Spring! I decided to blog about my birding outing today, if only to give people a little hope that spring is around the corner. As temperatures plummet once again this week, perhaps the knowledge that spring migration has actually begun will provide a little comfort…and warmth. Phil McCormack and I birded from Scarborough Marsh into South Portland today, enjoying a very spring-like day (highs in the mid-40’s) and some great birding. A few “new arrivals” and continuing wintering species combined for a respectably tally of 54 species without trying – and with ending our birding at 1:30. We began on the Eastern Road Trail. Within mere seconds of saying to Phil, “I expect some early migrant waterfowl like pintail and Gadwall today,” three drake Northern Pintails came cruising by. I love the look of pintails in flight; they’re so elegant. The long tail, thin neck, and long, relatively narrow wings suggest a miniature loon, and they have one spiffy pattern. The sense of spring really kicked in when a Killdeer sounded off and came cruising in to an exposed muddy bank – my first of the spring, and a bit on the early side considering the abundant snow cover. A pair of Gadwall (first of the year – although they were actually southbound) flew over Pine Point, as did at least one Snow Bunting. Twenty-eight Common Loons were in the channel, while over on Western Beach, the dredging operation was pumping sand onto the beach, collecting a nice concentration of gulls. 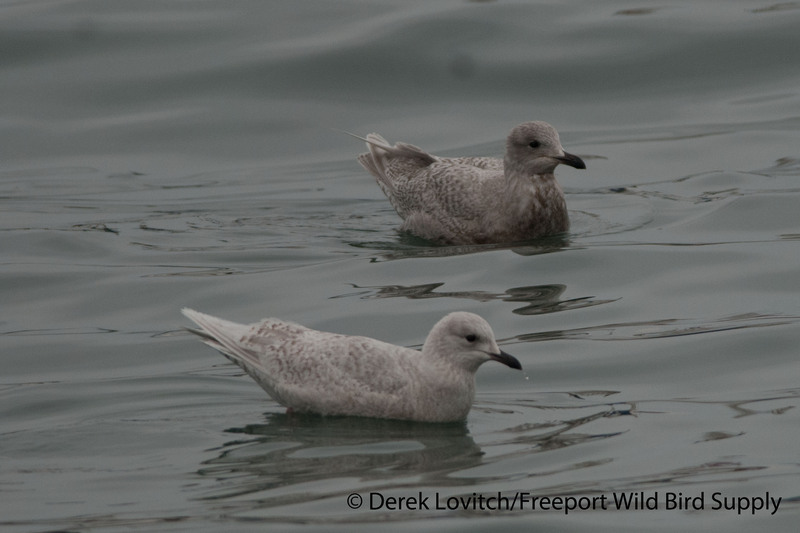 Sifting through them yielded two 1st-winter Iceland and 1 1st-winter Glaucous Gull. American Robins – overwintering birds, not northbound spring migrants – were widespread today, with a high count of 50-75 around Seavey’s Landing. Rounding the north side of the marsh, we checked a couple of neighborhoods for frugivores, before arriving at Kettle Cove. 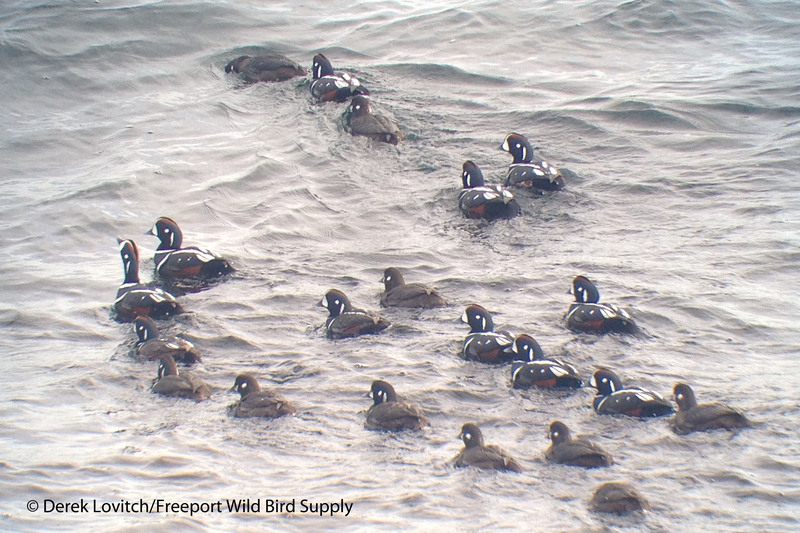 At Two Lights State Park, a raft of 150 Black Scoter loafed offshore, with 18 Harlequin Ducks in the surf. 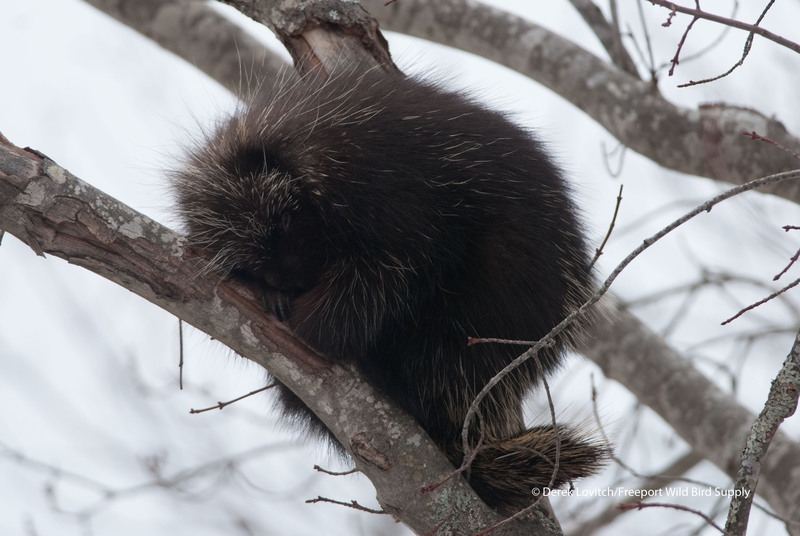 A Porcupine at the edge of the parking lot was the star of the show, however. Ten more Harlequin Ducks and a Northern Shrike (an immature; my 6th of the winter) at Dyer Point were signs of the continuing winter, but a Black Guillemot in full breeding plumage was suggestive of the advancing season. Moving into South Portland, a Red-bellied Woodpecker was among the usual denizens at Trout Brook Preserve, but Mill Creek and Mill Creek Cove were hopping! 286 Mallards and a growing legion of American Black Ducks were joined by a single drake Green-winged Teal, our third “FOY” of the day! Meanwhile, the gull turnover in the cove eventually amounted to eight 1st-winter Iceland Gulls and two or three 1st-winter Glaucous Gulls. 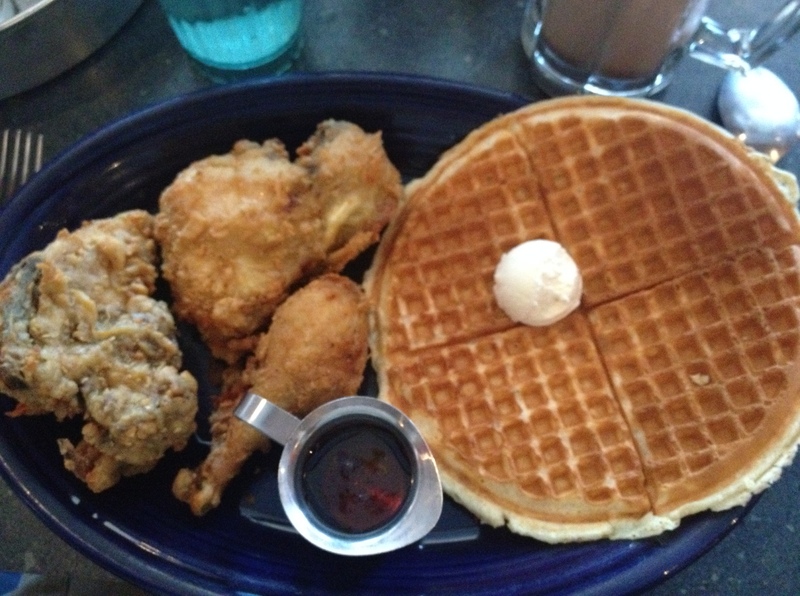 …the fried chicken and waffle from Hot Suppa! This entry was posted in Birding in Maine, Uncategorized and tagged Birding, Cape Elizabeth, Gadwall, Glaucous Gull, Green-winged Teal, Harlequin Duck, Iceland Gull, Killdeer, lunch, migration, Northern Pintail, Northern Shrike, Porcupine, Scarborough Marsh, South Portland on February 23, 2014 by Derek. OgunquitBeach was a hotspot today, with a flock of 75-100 Sanderlings being joined by 32 Dunlin. 200+ Mallards and a handful of American Black Ducks were in the river, and a Belted Kingfisher hunted from its shore. One of the surprises of the day was two Ruby-crowned Kinglets actively foraging in four Dwarf Alberta Spruces in planters in front of the motel. A Winter Wren at Beach Plum Farm was a very good bird for this late in the season (they’re the “All but in winter wren” in Maine), and we had two Peregrine Falcons and an immature Northern Harrier in and around Harbor Road and Community Park in Wells. We checked WellsHarbor and the jetties from a couple of vantage points (wouldn’t this be a perfect place to find a Ross’s Gull!?) and then scanned the offshore rock ledges still above water on the incoming tide from the parking lot at the end of Mile Road. Six more Dunlin were within the scattered flock of 75+ Purple Sandpipers, and there were a lot of the expected waterbirds, including 6+ Red-throated Loons and at least four Red-necked Grebes. All day long we were scanning the marshes and shoreline rocks in the hopes of seeing a Snowy Owl. There have been a rash of reports in the past 7-10 days, as it looks like an irruption is underway. I have not heard any reports of lemming and vole populations on the tundra, but a southward push of Snowies means there are either too few rodents (a natural cyclical crash, especially in lemmings) or too many owls (good breeding productivity thanks to a boom year in lemmings). Either way, there are a lot of hungry owls around Maine right now. It was surprising that based on the recent uptick in reports, we did not see one all day…until our very last stop with the light rapidly fading. One immature female-type (extremely heavily barred throughout the body, other than the face) was standing guard on the last of the rocking ledges that I scanned. Any day with a Snowy Owl is a good day in my book! Please remember that these birds are not down this far south by choice! The birds are here because they are hungry, or even starving (one emaciated bird was found dead at Prout’s Neck the other day, for example). While this charismatic and captivating species is sought by birders, photographers, and almost everyone else, we must be mindful of the dire straights that many of these birds are in. Too often we have heard stories of birds harassed, flushed repeatedly, or otherwise bothered by supposed fans. 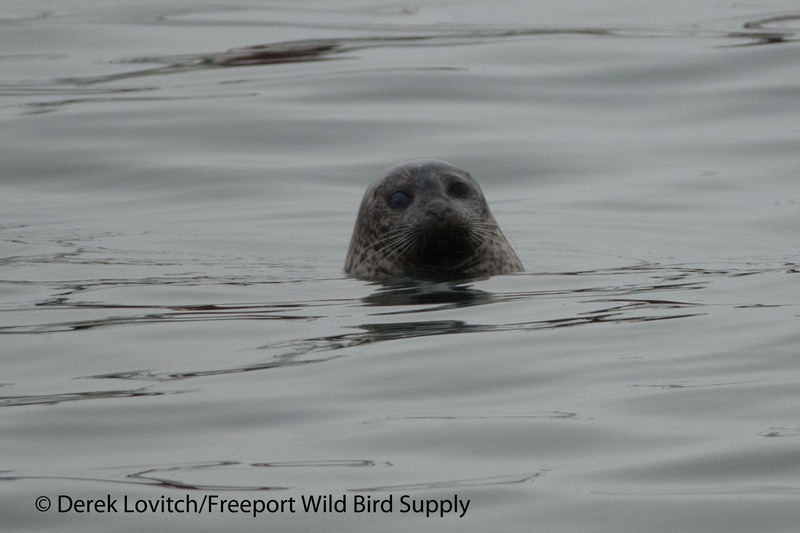 In the case of a Snowy Owl perched on a rock 100 yards or more offshore, there is little harm that can come from gawking at them from land. But when they are in the marsh, in the dunes, out in a field, on a building, etc, how about we remain just as respectful to these magnificent creatures and admire them from a safe distance. Besides, the birds’ natural behaviors will be more fascinating than watching it fly away from you. No, you really don’t need to see the bird a little better, or get a photo a little closer . . . admire them from a distance and let’s not make life any more difficult for these birds – or ruin it for other birders! This entry was posted in Birding in Maine and tagged Birding, birding etiquette, Cape Neddick, Harlequin Duck, Maine, Ruby-crowned Kinglet, scoters, Snowy Owl, The Nubble, waterfowl, Wells Beach, Winter Wren, York County on November 27, 2013 by Derek.